The timepieces worn by pilots are simply accessorised extensions of a heavy-duty aircraft dashboard. 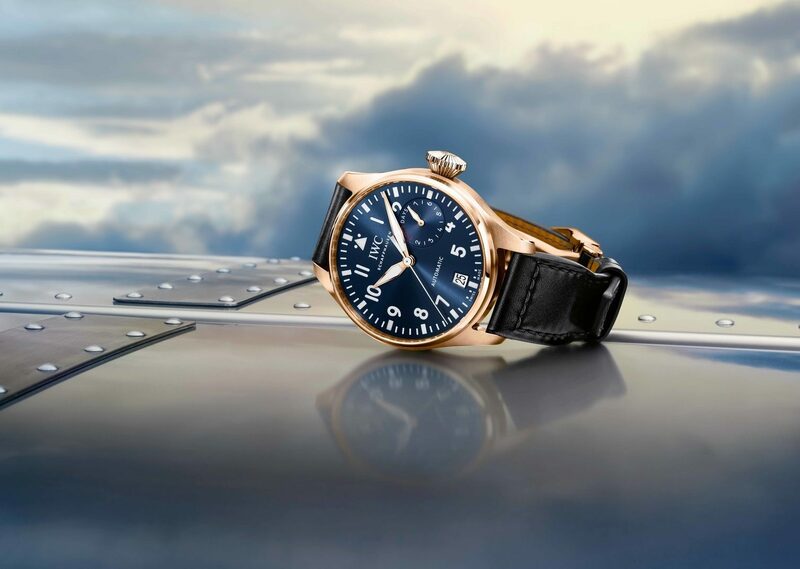 Playing the role of an instrument, a pilot’s watch is actually used for measuring how high they flown and for how long – that explains why aviation watches come a certain kind of precision. While off-duty, its bold index numbers and military grunge appeal is seen as a popular style statement. 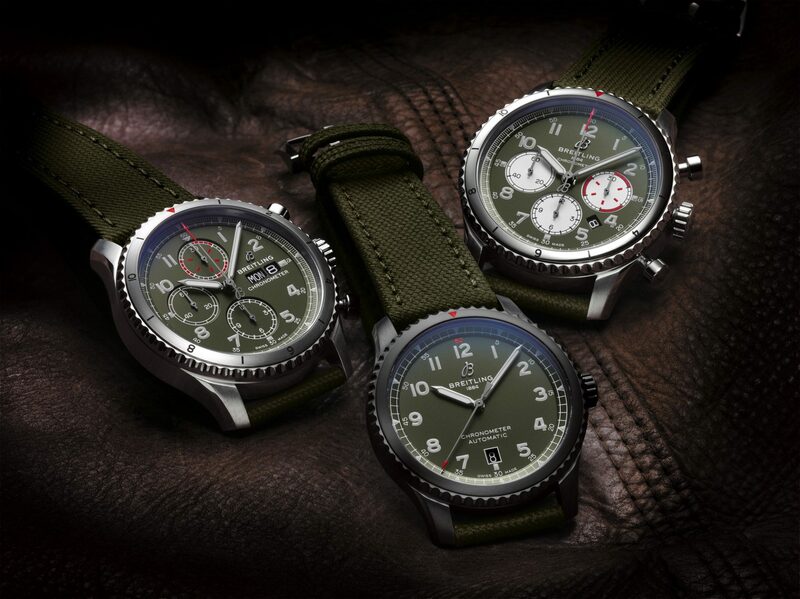 Aviation and motoring-inspired watches have always been an exciting novelty for enthusiasts of both cults. And the reason behind this, is their dependence on engineering and skill, a trait that extends towards watchmaking as well. Today, we’ve listed six timepieces from recent watchmaking, that are crafted to excite aviation geeks, or avgeeks. The Curtiss Warhawk, as the name suggests, was a deadly single-engine war aircraft from 1938 that guaranteed absolute aerial dominance. Breitling honoured this late veteran with a three-piece capsule from which the Aviator 8 B01 Chronograph 43 is our favourite. With a Breitling Manufacture Caliber 13 powering this tribunal timepiece with a 70-hour power reserve, it features a vertical coupling, 30-minute and 12-hour countered chronograph. This COSC-certified chronometer, which is water- resistant up to 10 bar (100 meters/330 feet), is presented on a green military strap variant from this capsule. Price: On request. Bell & Ross as a brand are almost entirely inspired by aviation and military virtues and its easily recognisable. 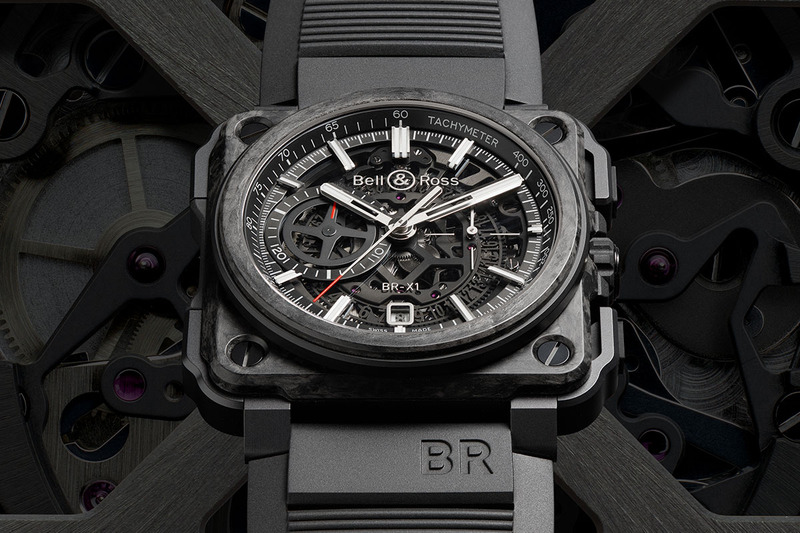 The BR-X1 Carbon Forge is one of our favourite watches from the Swiss watchmaking connoisseurs focusing on a heavy-duty military and aviation grunge as well as technical master-craftsmanship. The grade 5 titanium and ceramic case is strapped on by premium rubberstraps and is powered by a Calibre BR-CAL.313. Mechanical automatic movement. While the timepiece is completely mono chromatically toned, it works as a brilliant skeletal timepiece as well. Price: On Demand. 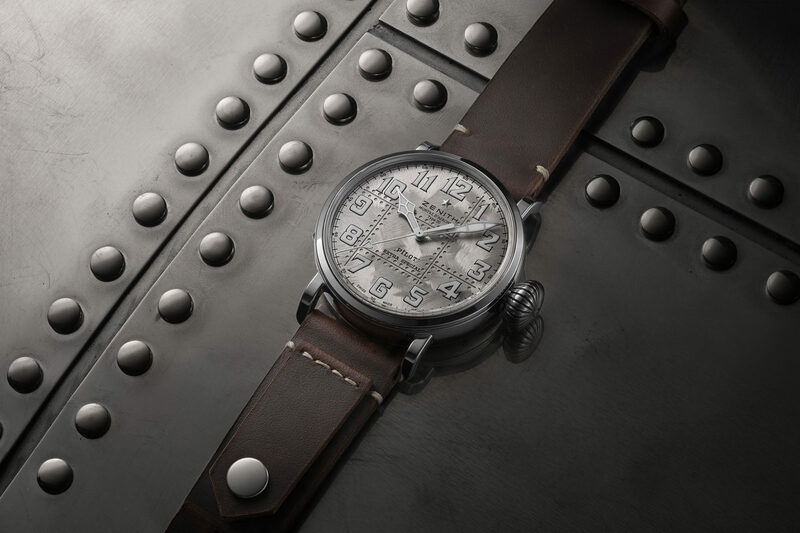 Crafted from pure silver, the Type 20 capsule by Zenith featured a limited–edition timepiece pilot watch that embraces World War 2 fighter plane aesthetics. 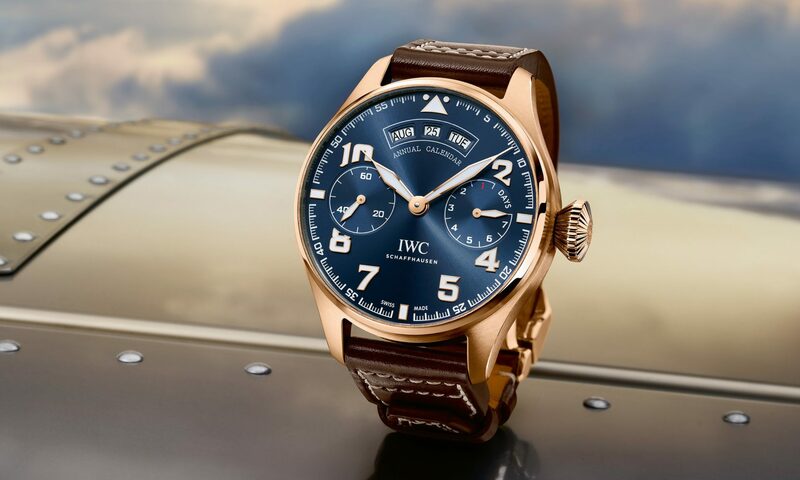 With oversized index numerals on its dial and crown, a unique ‘bolted’ or ‘metal welding’ guilloche brought out a vintage aviation grunge appeal. Inside, we see a Zenith Elite Automatic 679 movement with a power reserve of 50 hours. With a vintage Aeroplane engraving on its caseback with special ‘Montre D’Aeronee’ engraving around its case, the timepiece was limited to just 200 units. Price: $ 7,700. RM 039 is an ultra-complicated watch with a million dollar plus price tag and limited to 30 uber-rich clients. It has a 50mm case which is nearly 20mm tall and contains close to 1000 parts. 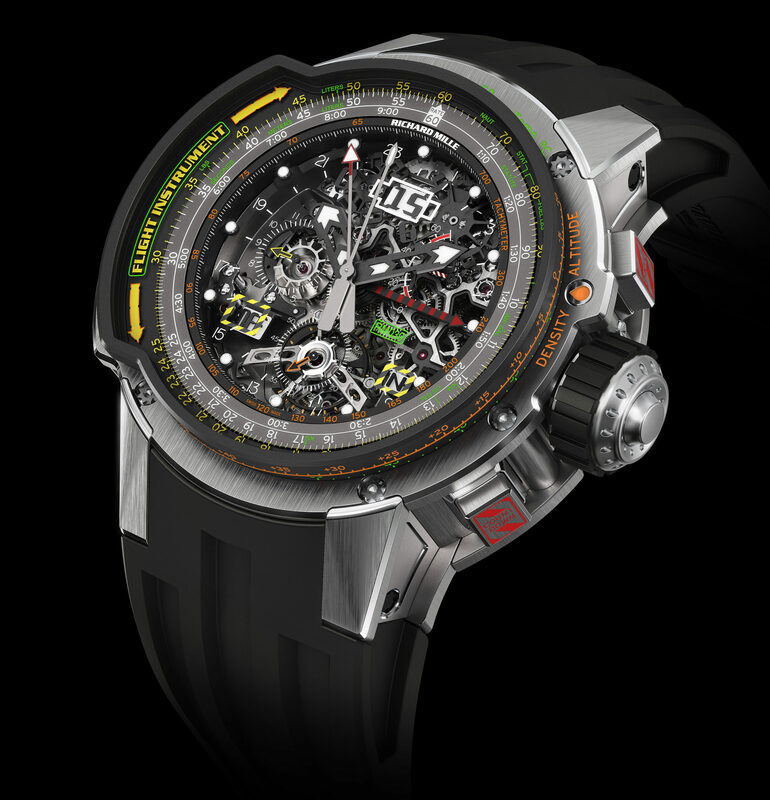 According to Richard Mille, the three-part case of the RM 039 is exceptionally difficult to produce, requiring more than 800 milling operations over several days. The 5 pushers, their components and the crown of the RM 039 require another 10 days of machining. 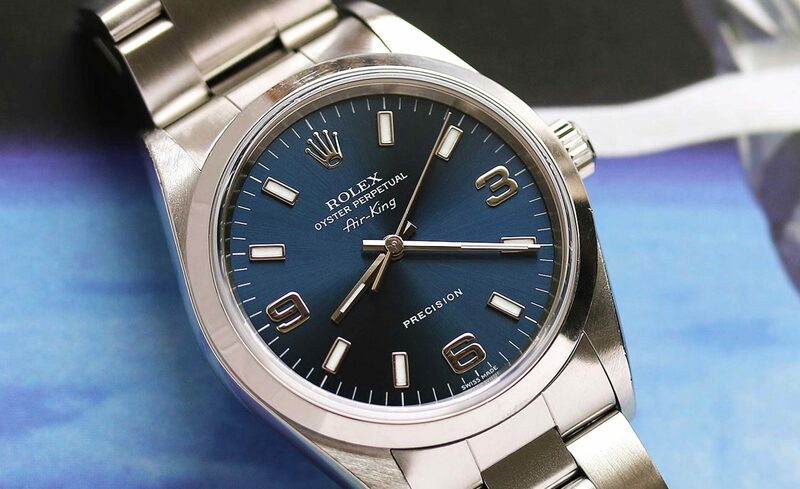 The Rolex brand is synonymous with classic styling and contemporary luxury. Rolex perpetuates the aeronautical heritage of the original Rolex Oyster but includes some newer, more alluring features. Something most noteworthy about this watch, however, is the distinct black dial with silver hands and touches of emerald green. It adds to the watch’s character and incorporates classic elements alongside newer technology.